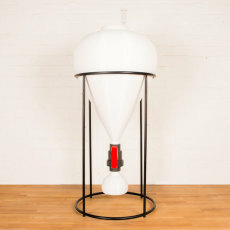 Welcome to the world of conical fermenters! 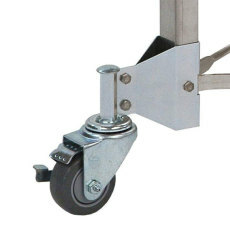 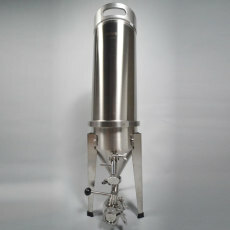 Stainless steel conical fermenters are superior works of fermentation technology. 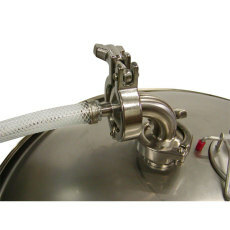 Stainless steel is very inert and easy to clean, making it the chosen material for professional brewers around the world. 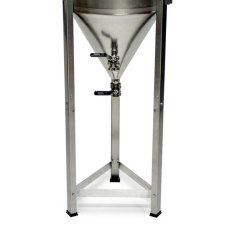 With conical fermenters, you can eliminate trub that settles out, harvest yeast, and produce incredible beers, all without the need for a secondary vessel! 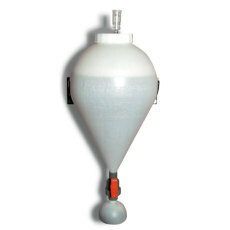 An insulated stainless steel conical fermenter with 8 gallon total capacity from Grainfather! 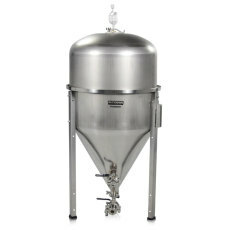 Loaded with features, including temperature control (both heating and cooling) and the ability to dump yeast and transfer beer. 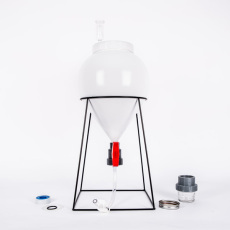 Perfect for homebrewers who want to ferment like the pros! 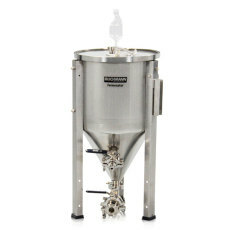 This 14 gallon Blichmann Fermenator with tri-clamp fittings provides all the advantages of high quality stainless steel fermentors found in commercial breweries, but has been engineered with the homebrewer in mind! 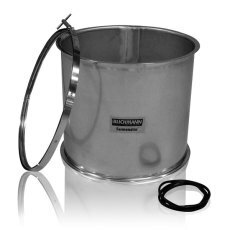 This 7 gallon Blichmann Fermenator with tri-clamp fittings provides all the advantages of high quality stainless steel fermentors found in commercial breweries, but has been engineered with the homebrewer in mind! 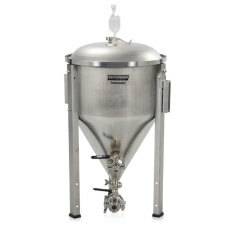 This 42 gallon Blichmann Fermenator with tri-clamp fittings provides all the advantages of high quality stainless steel fermentors found in commercial breweries, but has been engineered with the homebrewer in mind!